The restaurant features a menu that favours local and speciality dishes and as such the equipment installed within the restaurant called for something special in terms of presentation and delivery. The refrigeration demands of any catering facility are usually dealt with at the back of house where the clients will not normally see any of the equipment or systems. At Manchester 235 this was definitely not the objective as the refrigerated coldroom was to become a key feature within the restaurant. The restaurant required a dry­-ageing room in order to provide high quality beef to reflect the demands of the menu. However the dry-­ageing coldroom needed to be visible from the restaurant with a 2mx1.6m window that would allow the meat to be viewed from the restaurant. 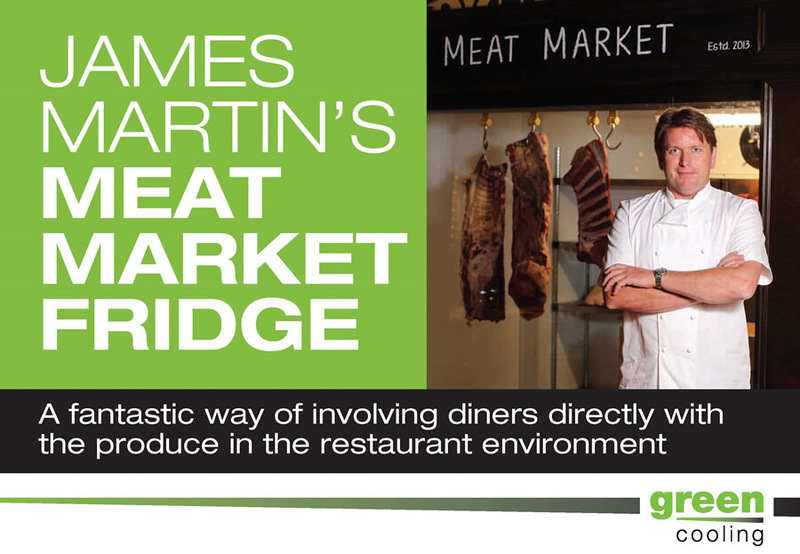 The feature “Meat Market Fridge” allows customers to view the locally sourced produce and was noted positively by the press on the opening night. Dry-ageing of beef is becoming increasingly popular and falls into the specialist area of food service cold storage where Green Cooling are rapidly making a name for themselves. The Green Cooling design team have a wealth of experience within this type of application having worked extensively on similar high specification projects, which require an innovative and high quality approach with regard to both design and refrigeration engineering standards.